http://www.stnicholasranch.org The beautiful St. Nicholas Ranch & Retreat Center is located in the Sierra Nevada Mountains just east of Fresno, California. 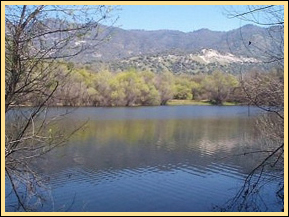 It is an easy and convenient drive from the Fresno area. The Ranch is just 40 minutes from the Fresno Air Terminal. 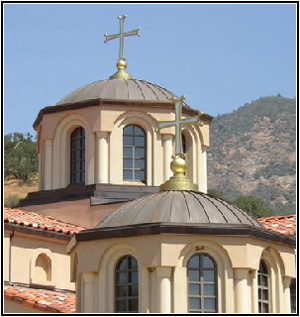 The Ranch is an awe-inspiring monastery, facilitated by nuns of the Greek Orthodox faith who live at the church just above the retreat area. 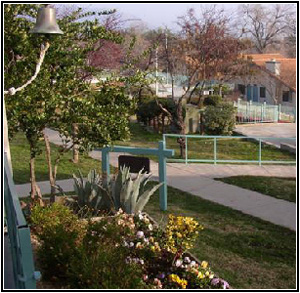 The retreat center is an all-inclusive resort; with a first-class dining room that can seat up to 130, motel-style rooms with three or four beds and a private bathroom, dormitories of twelve to sixteen beds that has a large restroom facility, and ample campground space for tents, campers, and RVs with access to indoor restroom facilities. “The Ranch”, as the locals call it, is a conference and retreat center located in Dunlap, California about 35 miles east of Fresno. Rolling hills, ancient hills, ancient oaks, a small lake, an apple orchard and an olive grove provide gorgeous natural surroundings. Nestled on 230 acres of what was once a working horse ranch, the lodges, meeting spaces, and recreational facilities provide for very comfortable accommodations surrounded by rugged landscape. Both the Sequoia and Kings Canyon National Parks are only 20 minutes away from the facility, making it possible to visit both in one day! A breathtaking Byzantine-style monastery overlooks the valley. 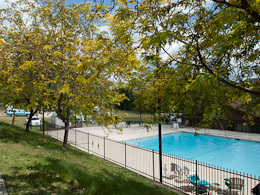 Hiking trails and a swimming pool are also available. All motel-style lodging rooms come with a private bath, individual air-conditioning and heating, with twin and queen sized beds. All the lodge rooms, dining and classrooms are located together on level ground. All meals are including in the registration fee. 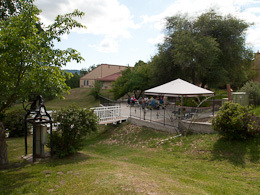 For the California Autoharp Gathering, the St. Nicholas Ranch boasts of a main concert room (St. Peter), two smaller workshop rooms, a vendor’s room, and outdoor workshop space. All participants have home-cooked delicious and abundant meals in the dining room. Vegetarian entrees can be provided upon request. Students have outdoor workshop and dining areas. Temperatures during the month of May at the Ranch are typically warm to hot during the day (high 80s to low 90s), to cool and pleasant at night (mid 60s). Dress for the Gathering is casual. A tour of the monastery is available for CAG guests, usually at late Saturday afternoon for a one-hour visit. Attire for the church tour consists of skirts and head-scarves for the ladies, and pants and long-sleeve shirts for the gentlemen. The Ranch is about two miles from the Highway 180/Dunlap Road intersection. Once you reach the driveway for the Ranch off the Dunlap Road, go about one mile along the driveway (paved) until you reach the retreat center. 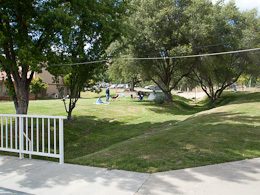 Camping space is located just east of the dormitories. No campfires are permitted. Pets are strongly discouraged from attending. There is “NO SMOKING” in any area of the retreat center. Smoking is permitted only in the parking lot area and smokers must clean their smoking area and ensure that their tobacco products are safely extinguished. No drugs or alcohol is permitted in any open air area as we ask participants for their consideration amongst young students.